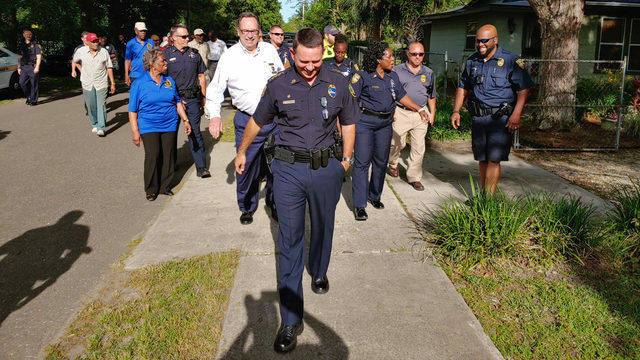 JACKSONVILLE, Fla. - Thanksgiving is just weeks away, and if you're already thinking about how you're going to make the big bird, there are some steps you can't forget. Food handling errors and inadequate cooking are the most common issues that lead to poultry-related foodborne disease, according to the Centers for Disease Control and Prevention. That's why the CDC is offering four food safety tips to help you prepare turkey meals for the holidays. The steps detail how to safely thaw, handle, stuff and cook your turkey meal for your next family gathering. The first step is to safely thaw your turkey. The CDC says you should thaw your turkey in the refrigerator, in a sink of cold water that is changed every 30 minutes or in the microwave, but do not leave it on the counter. When a turkey is left out at room temperature for more than two hours, the CDC warns, its temperature becomes unsafe and can cause bacteria to grow. You'll also want to make sure you are safely handling the raw turkey. That includes washing your hands frequently and keeping the raw turkey away from other food items. According to the CDC, raw poultry can contaminate anything it touches with harmful bacteria. To prevent the spread of bacteria, the CDC says, following the four steps to food safety: cook, clean, chill and separate. Cooking stuffing in a casserole dish makes it easy to make sure it's cooked all the way. 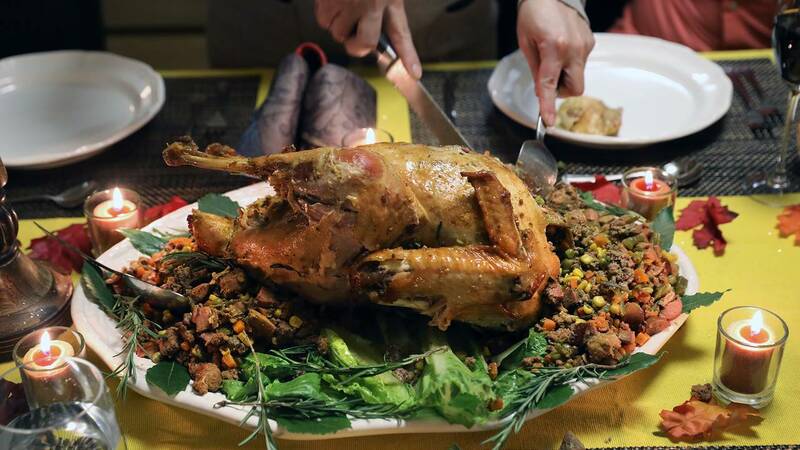 If you put stuffing in the turkey, the CDC says, make sure you do that right before cooking. Lastly, after you place the completely thawed turkey the breast side up in a roasting pan that is 2 to 2½ inches deep, pay close attention to the temperature. The CDC says you should set the oven temperate to at least 325 degrees. Cooking times will vary depending on the weight of the turkey, but regardless, make sure it reaches an internal temperature of 165 degrees. You can check the internal temperature by inserting a food thermometer into the thickest portions of the turkey -- breast, thigh and wing joint -- and into the center of the stuffing. You're advised to let the turkey stand 20 minutes before removing the stuffing and carving the meat. For more information on safely preparing your holiday turkey, visit the CDC website.